Only a fifth (19%) of Great Britain’s 28 million cars are put away in a garage each night. Analysis by the RAC Foundation shows that half (53%) of all cars are left on the drive and a quarter (25%) are parked on the street. A minority (3%) are left elsewhere. Yet ten million households (39% of the 26 million total) have access to a garage. The proportion of cars being parked in a garage has fallen by about a third in a decade. “Many of us seem to be using our garages to store the things we do not want in our houses or simply do not have room for. After Christmas there will be a rush to put unwanted presents out of sight and out of mind. In the old days that might have meant heaving them into the loft or shoving them under the stairs. Today it is more likely to mean dragging them out to the garage. “While modern cars are a lot more reliable, we should not take for granted the ability to come out of the house, turn the ignition key and drive off. 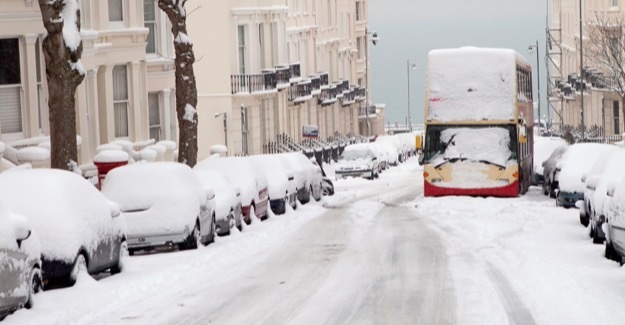 The extremes of weather we have had over the past few years, and indeed the past couple of weeks, have resulted in big demands on the home-start services offered by the breakdown companies. Perhaps it is time to reconsider using the humble garage for what it was intended. Analysis by the RAC Foundation shows that the vast majority of Britain’s ten million garages are for one vehicle only. Allowing for those which can accommodate more than one vehicle there are probably eleven million garage parking spaces in the country.